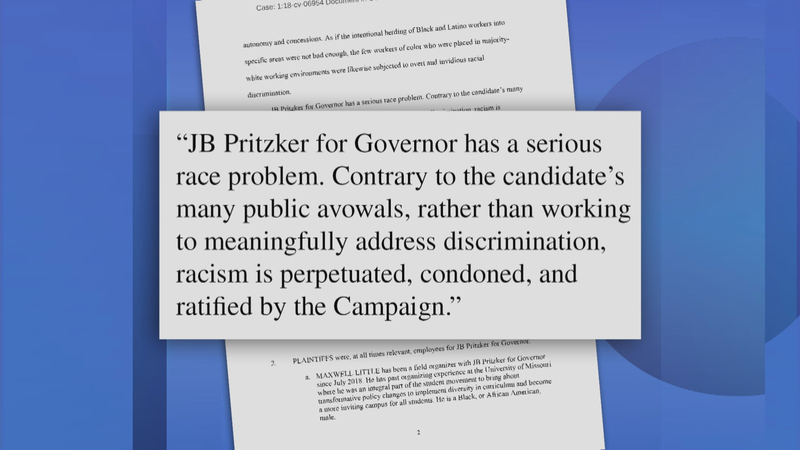 Ten minority staffers working for J.B. Pritzker’s gubernatorial campaign have filed suit in federal court for racial discrimination and harassment, alleging they were subject to less favorable treatment than their white counterparts. 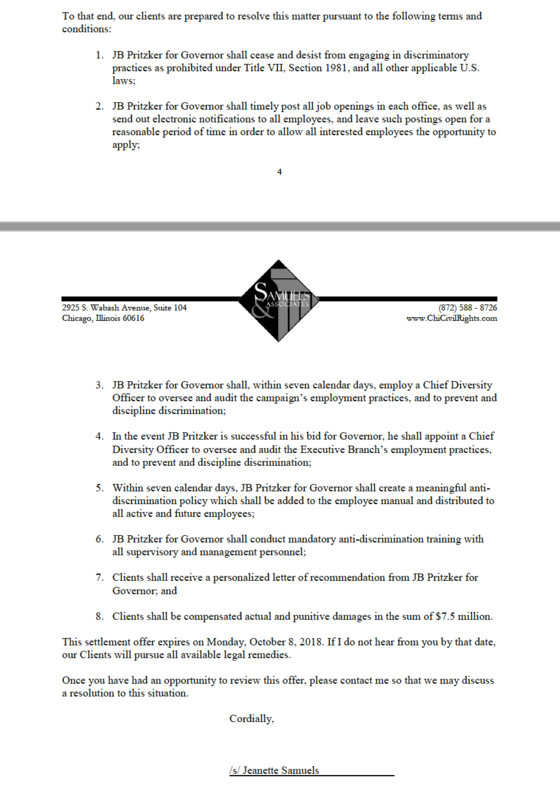 But Pritzker’s lieutenant governor candidate, Julianna Stratton, called the lawsuit “baseless” and “offensive.” She says the group, through their attorneys, delivered a letter demanding $7.5 million within one business day before threatening to go public with their allegations. According to the lawsuit, organizers in one of the field offices for JB Pritzker for Governor, located on the West Side of Chicago, were subject to dangerous conditions and allegedly had their concerns ignored by the campaign. Stratton says she stands by the campaign’s senior staffers, adding that the majority of them are African-American. "I couldn’t be prouder to be on the ticket with J.B. and of the statewide grassroots campaign we’ve built," she said in a statement. Pritzker is reported to be worth more than $3.2 billion and has contributed well over $100 million to his campaign. News of the lawsuit first appeared in a publication called Cook County Record, which is owned by the Chamber Institute for Legal Reform, a spinoff of the U.S. Chamber of Commerce that advocates for tort reform.